Organizations that move online often find themselves at a loss in trying to distinguish themselves and create repeat customers in a virtual world where the possibilities and competition are endless. Research helps to solidify a concept called online identity and bonding that can help companies create communities of interconnected customers. When such communities are formed the interaction rate and login rates of the members increased providing more opportunities to sell products and services. Online communities are collections of people with complementary interests who communicate through an online medium (Preece, 2000). As such the people within a community create bonds with each other, interact, and have an impact on each other’s lives. Businesses are constantly seeking ways to develop a customer’s identity with their products and brands. One of the ways they can do this is through developing online communities that take on a life of their own beyond specific offerings. Generally, these communities exist and succeed because members become attached to each other. When this attachment is strong they participate more and are retained in the group longer. Think of Facebook and how through family and friends we seem to be drawn over and over to check each other’s lives and statuses. The process of building a community around the lifestyles associated with certain product groups can maintain life-long loyalty. Let us look at an example; if you are an outdoor enthusiast there are certain products that you will naturally take an interest with. These products might include canoes, outdoor camping equipment, guns, outdoor recreational vehicles, certain types of clothing and much more. Those items will have special interest and meaning for the members of the group as they communicate with each other and share experiences. Online communities are all about those experiences. Attachments are created when people develop a sense of group identity where both purpose and character are developed (Hogg and Turner, 1985). Obviously, you can’t just sell products and expect to have loyalty. Such groups could develop around themes, articles, lifestyles, how to advice, trip reviews and much more. You are selling the lifestyle in order to sell your products. Companies that offer different varieties and forms of these products could work together in a community hub. They can develop a social group online and provide relative content and interaction that furthers interest in the lifestyle. The sales pitch and information about products could be embedded into the content provided as well as the site itself. To do this well would required to focus on the development of relationships and bond among members (Festinger, et. al., 1950) above and beyond the products. A study conducted by Yuquing et. al. 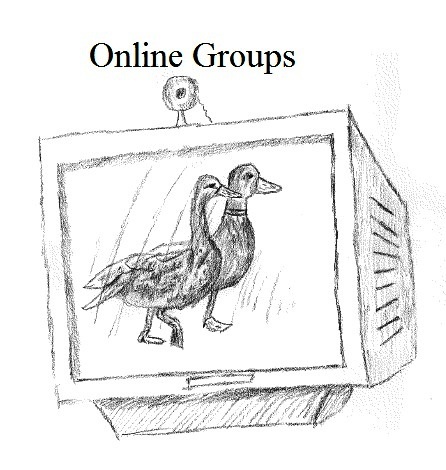 (2012) helps to show which factors help create these online communities. The researchers used a site called MovieLens.org to test their independent and dependent variables. The site offered movie ratings and recommendations. The site also offered a group profile page, group communication stats, individual profile pages, and methods of communicating. The study used a control group and a testing group that manipulated the variables. -Participants reported that the profile page and the movie group features were most important while the communication feature was least useful. -Support for the positive effects of identity-based features and weaker support for bond-based features. -When compared to the control condition participants in the experimental condition increased their attachment to the movie group but not to the site as a whole. -Participants with access to profile pages visited the pages more often. -Exposure to group activities increased frequency in identity conditions but not in the bond conditions. -Those in the identity condition with access to both group profiles and repeated exposure to their group visited the site with twice the frequency. Frequency of visits and sales are associated concepts. As people continually return back to their groups and profiles they will naturally be more exposed to advertisements and influences. The research helps highlight that having a profile and group outlets are important. One provided self-identity while the other provided a group to interact with. The research also supports a concept that through self-identity features we create a level of group identity. The research doesn’t indicate how self-identity and group identity influence each other. People with profile pages visited the site more often. When the profile page and repeated group exposure were available the frequency of visits doubled. This helps give some support to the concept that individuals create their own “personal space” with profiles and will interact with groups of “like mind” to create a sense of community. Yet all of this is through self-identity versus bonding which means that online groups are collections of people with pre-existing similar interests. In other words, one must be interested in your site and products already to become productive and connected individual with others of shared interest. Festinger, L., Schacter, S., and Back, K. (1950). Social Pressures in Informal Groups: A Study of Human Factors in Housing, Palo Alto, CA: Stanford University Press. Hogg, M. and Turner, J.(1985). Interpersonal Attraction, Social Identification and Psychological Group Formation. European Journal of Social Psychology, 15 (1). Preece, J. (2000). Online Communities: Designing Usability, Supporting Sociability, Chichester, England: Wiley. Yuquing, R., et. al. (2012). Building member attachment in online communities: applying theories of group identity and interpersonal bonds. MIS Quarterly, 36 (3).